Although aware of his sexuality at a young age, Sir Ian did not officially ‘come out’ until his 40s. The star of stage and screen now tours secondary schools educating children about equality and promoting a campaign by the Stonewall charity aimed at tackling homophobic bullying. Speaking to pupils at Acland Burleigh school in north London, Sir Ian said he “always knew” that he was gay but did not feel able to speak about it. “There was no Graham Norton on the television at that time, no gay MPs, no-one talking about gay rights on the radio. So I dealt with it my trying to cut that part of myself off, to hide myself, to choke a part of me,” he said. “When you are made to feel you are so wrong for being who you are, that’s what you do. 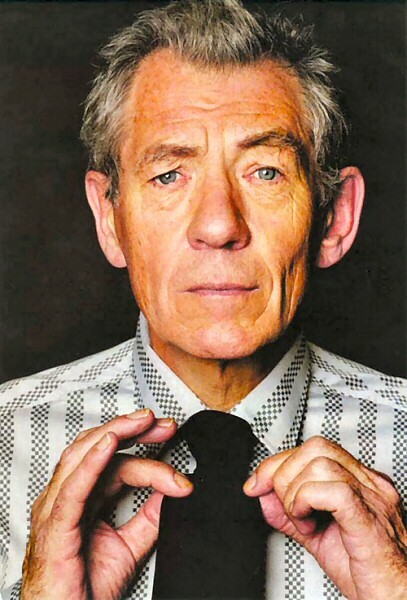 Sir Ian, familiar to younger filmgoers as Gandalf in Lord of the Rings and Magneto in the X-Men films, asked the pupils not to use the word “gay” as a term of abuse. The actor told pupils he “wished that every child, every teacher, every person in this room can be free to be who they are, whatever their sexual orientation”. Sir Ian ‘came out’ publicly in 1988 during a BBC radio interview about Section 28 of the Local Government Act, which forbade the “promotion” of homosexuality by local authorities. He later wrote: “I learned that coming out was crucial to self-esteem. And I accepted the argument that people who thrived in society’s mainstream and had access to the media could, by telling the truth, help others in the backwaters whose views were never sought and whom society either ignored or abused.